7 years and 6 months in the making, I very much anticipated my 50th Drupalcamp. As seems to happen at least one time each year, I flew straight from one event to another. I had my 2nd speaking gig at SxSw in Austin then flew directly to Chicago for MADcamp. I love the new name: Midwest Area Drupal Camp! Put your content center stage. Backdrop CMS 1.0 is here! Today is a much anticipated day. Some said it would never come. Others said that if it did come it could ultimately mean nothing. Still others, and myself, believe that it is a red-letter date that will be long celebrated as the day that Backdrop CMS 1.0 was launched. Read more about Put your content center stage. Backdrop CMS 1.0 is here! To help out Drupal Camp Karachi visit drupalcamps.pk/contact and Azmat will get back with you promptly! So what’s my D8 adoption strategy? 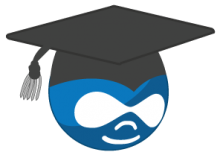 This is part one in a series of blog posts about the Drupal Community. There is NO SHORTAGE of posts on this topic, but I wanted to take the time to tell my story of how I got here and what the Drupal community means to me. I am sitting here at DrupalCamp Asheville2014. I took a break and hung out in the BoF room and decided to compose this list of ideas on how Drupal Event attendees can engage the event. I'd love to hear your comments below! Why I support Kalabox on Kickstarter and why I think that you should too. This Kickstarter campaign exists to take Kalabox 1.0 to the next level! Literally! Read more about Why I support Kalabox on Kickstarter and why I think that you should too. Copyright 2019 Synaptic Blue Inc.